On June 8th, another installment of the Ocean’s film series will hit a theater near you. Though this time around it will not be filled with middle-aged men hoping to strike it big. Instead, Ocean’s 8 will usher in a new era of powerful women with a voice not only within the film, but outside of it as well. Oceans 8 stars Sandra Bullock, Cate Blanchett, Anne Hathaway, Mindy Kaling, Sarah Paulson, Awkwafina, Rihanna, Helena Bonham Carter and many others as they plan to pull off a heist at the Met Gala in New York City.With the main cast as well as the many cameos throughout the film having substantial social media followings, this film will be undoubtedly another project aided by the influence of social media. One of the standouts in this film is of course Rihanna. While we don’t usually see her face on the silver screen, her presence is something that will only help promote this film. With just over 62 million followers on Instagram, Riri has the capability to reach a mass audience for the promotion of this movie. 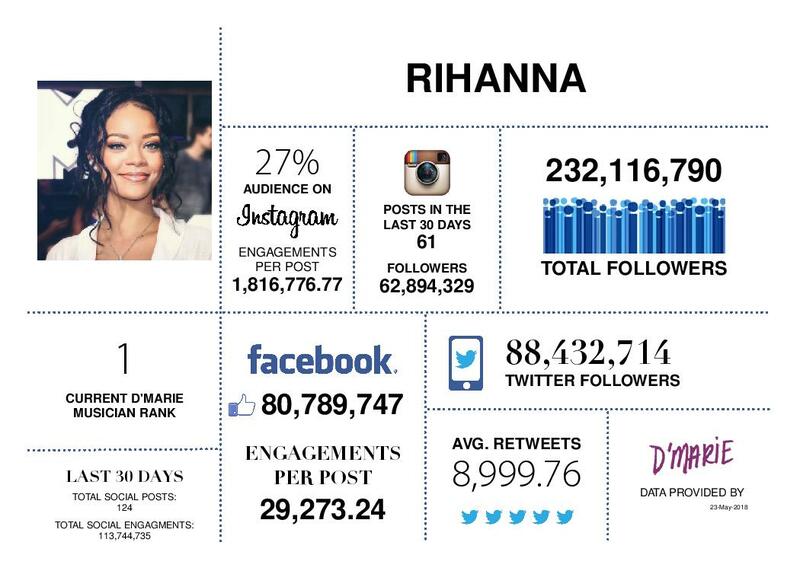 Her loyal following shows as she racks up on average 1,816,776 engagements per post to her Instagram. This type of response to her posts can garner a huge following for Ocean's 8 as well, when she decides to post marketing material for it. Another big name associated with Ocean’s 8 not only in the film industry but on social media as well is Anne Hathaway. With nearly 11 million followers on Instagram and an average of 257,796 engagements per post, she surely has her following involved in this film. With posts and references to Ocean’s 8 scattered across her accounts, it would be hard for her fans to ignore this summer blockbuster. Movies packed with star studded casts are nothing new to the film industry. Yet, with the rise of social media and its power within the online platform, these strong casts are proving to be more and more influential when it comes to marketing these blockbusters. Now that each individual associated with such films have a significant social media presence, the efforts to publicize and market the projects are much more streamlined and effective. Social media has also given way to much needed changes in Hollywood as a whole. The realization of more diverse casts and production teams is something being driven by the voices online. It is films like Ocean’s 8 that will continue to challenge the old rhetoric of Hollywood’s white and male driven past. Pushing us forward into the future of not only film but entertainment equality as a whole are these social media platforms. They enable a voice for anyone no matter the size of their following and it will be exciting to see how this continues to shape the industry moving forward.